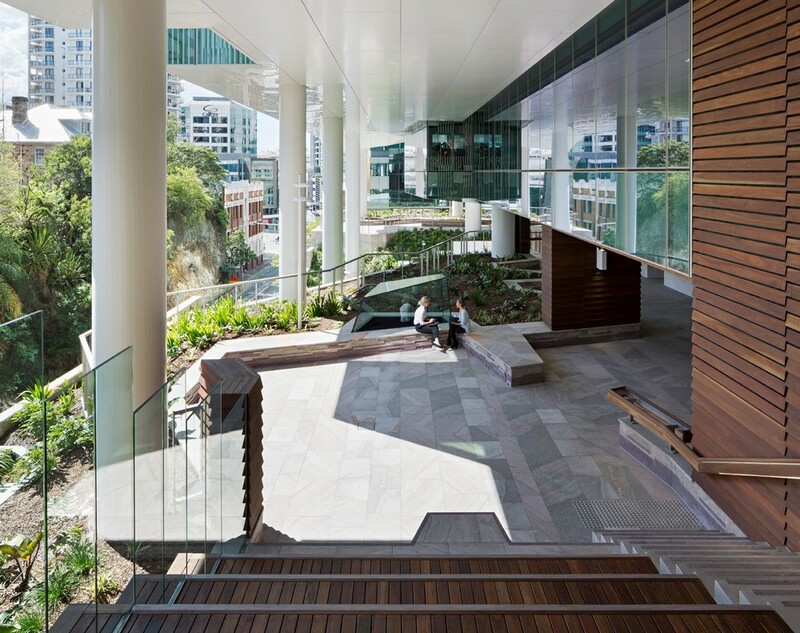 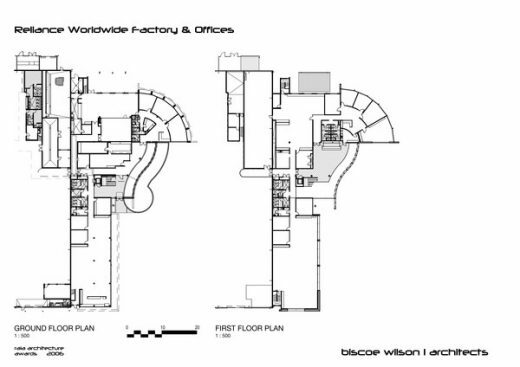 Reliance Worldwide commissioned Biscoe Wilson Architects to design their new corporate headquarters in Brisbane, Australia. 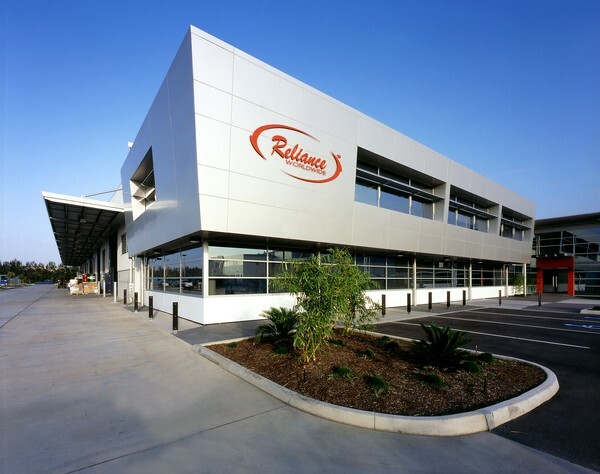 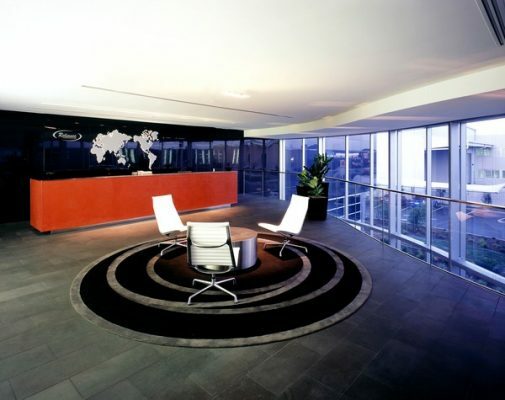 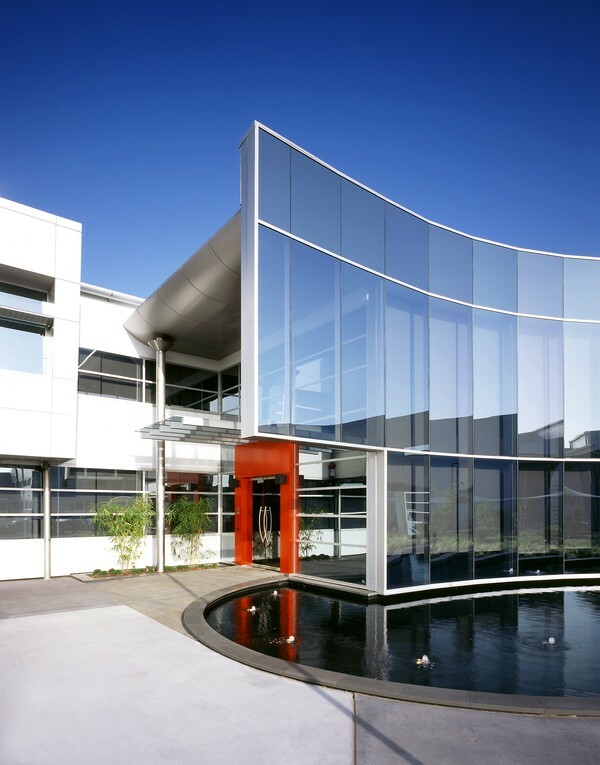 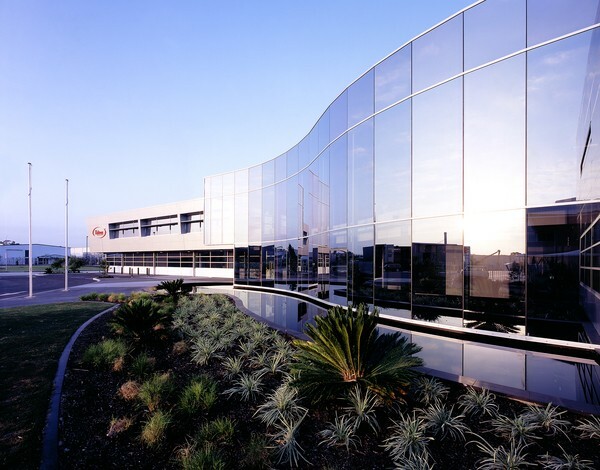 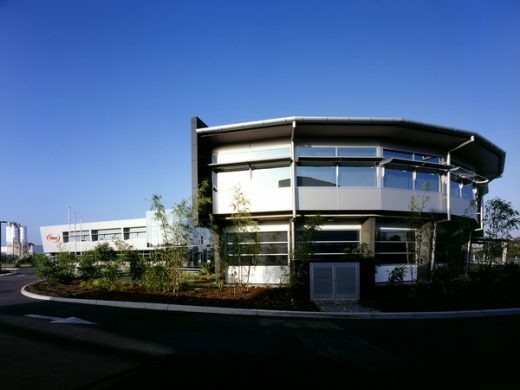 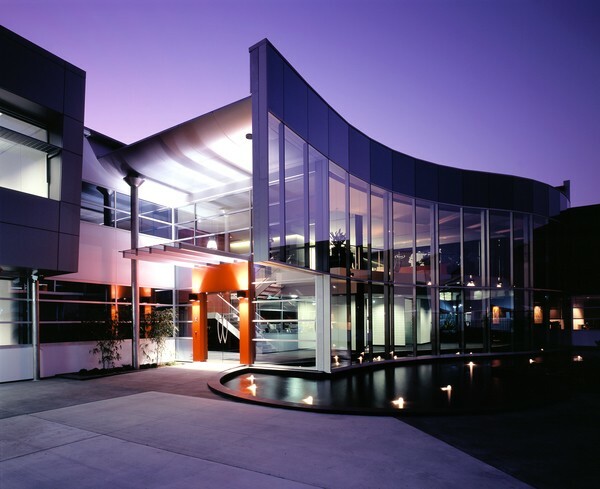 Reliance Worldwide is a world leader in water control and measurement products, and the Brisbane facility houses the head office, manufacturing, and warehouse operations. The two-storey office building has been designed to present a modern dynamic identity. 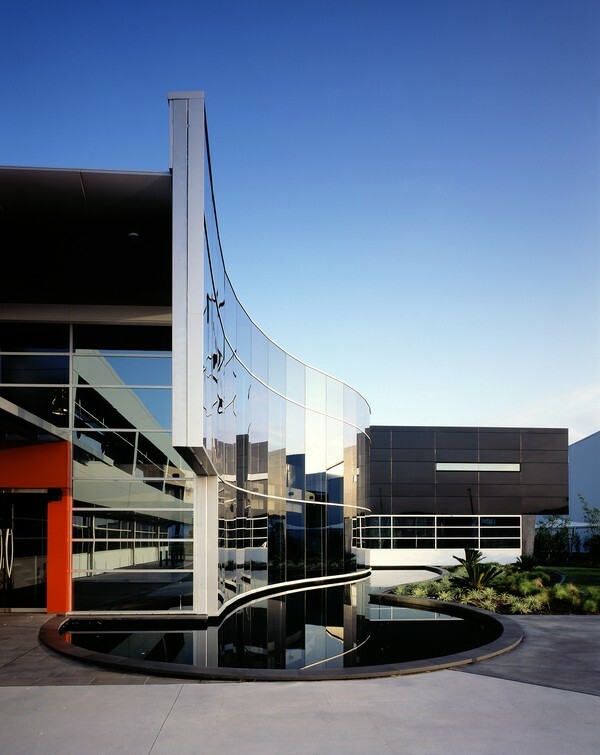 The sinuous low-e glass curtain wall bisects a pond at the entry foyer. 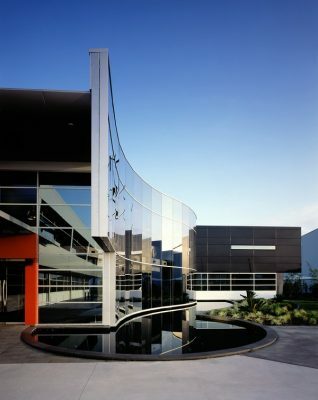 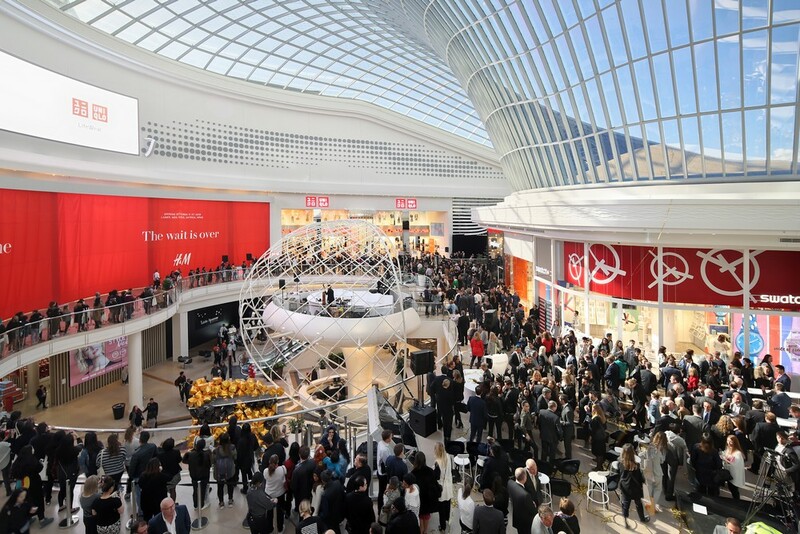 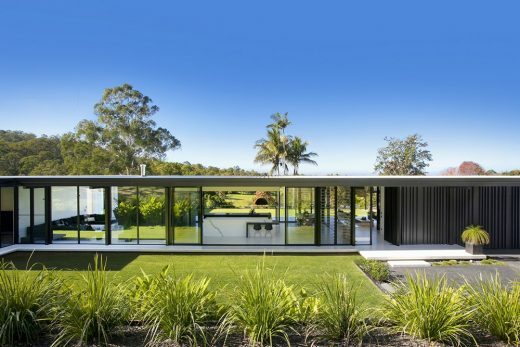 This architectural metaphor reinforces the core function of the business: water management. 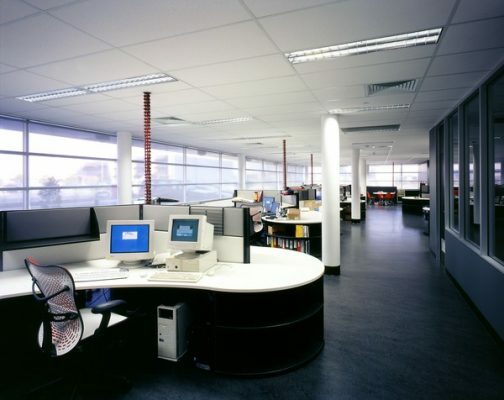 A narrow floor plate and 8.5m high eaves allow good natural light penetration into all office spaces. 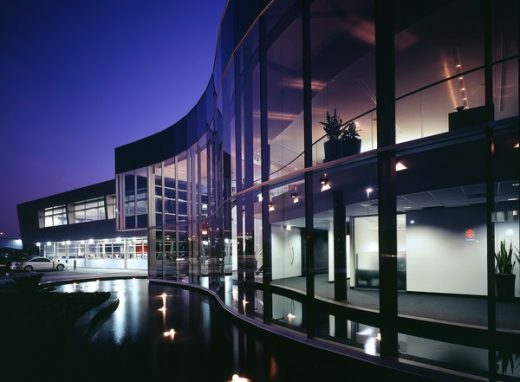 The design also includes extensive concrete hardstand and vehicle maneuvering areas, and parking for 135 cars.